Retail Trader of a wide range of products which include ss ball valve. Stainless Steel Ball Valves is a site dedicated to supplying Stainless Ball Valves at wholesale prices.Our Products are Supplied to customers all over the United States as well as parts of Canada and Mexico.The Stainless Ball valve is becoming the most widely used Threaded Ball Valve fast replacing Brass Ball valves. 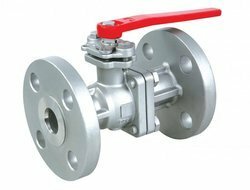 Ball Valves Stainless Steel are Full Port Ball Valves most commonly supplied with female threaded ends. Often refered to as a SS Ball Valve or a Ball Valve Stainless Steel, These SS Ball Valves are manufactured in 316 Stainless Steel.